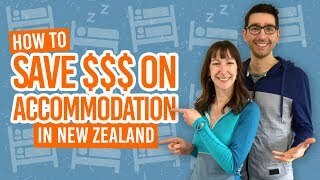 Where to Find cheap Accommodation in Auckland. Welcome to Auckland! New Zealand’s largest city built on volcanoes and looking out into the stunning waters and islands of the Hauraki Gulf. Whether you are here just because you have arrived in New Zealand, or you want the experience the best of city life while never being too far away from wild regional parks, it’s likely that you will need to find some cheap accommodation in Auckland. We’ll help you there. Because Auckland is a pretty big place, we have put together a quick list of the suburbs where you are likely to find some cheap accommodation, as well as outlining how far away they are to Auckland’s city centre. This accommodation guide to Auckland is also split into accommodation types, so you can just skip straight to your preferred accommodation style! So find a place to stay in Auckland using our nifty accommodation guide to Auckland! Which Auckland suburb to find accommodation? There is accommodation found all over Auckland Central including its inner and outer suburbs. Here’s a quick rundown on what to expect in the Auckland inner suburbs. For the rest of Auckland’s suburbs and districts, read our Accommodation Guide to Greater Auckland. Note: CBD refers to “Central Business District” i.e. Auckland Central. For more information on getting around, check out Public Transport in Auckland. Parnell – Location: inner city suburb east of CBD, Distance from CBD: 9min drive/25min walk. Average weekly rent for a room: NZ$220. Average hostel night: NZ$27-30. Mt Eden/Newmarket – Location: inner city suburb south of CBD, Distance from CBD: 15min drive/40min walk. Average weekly rent for a room: NZ$210. Average hostel night: NZ$29. Grey Lynn – Location: inner city suburb southwest of CBD, Distance from CBD: 15min drive/50min walk. Average weekly rent for a room: NZ$200. Average hostel night: NZ$27. Mount Albert – Location: outer city suburb southwest of CBD, Distance from CBD: 15min drive. Average weekly rent for a room: NZ$215. Ellerslie – Location: outer city suburb south east of CBD, Distance from CBD: 20min drive. Average weekly rent for a room: NZ$200. Remuera – Location: outer suburb east of CBD, Distance from CBD: 25min drive. Average weekly rent for a room: NZ$210. Mount Wellington – Location: outer suburb southeast of CBD, Distance from CBD: 25-30min drive. Average weekly rent for a room: NZ$230. Onehunga – Location: outer suburb south of CBD, Distance from CBD: 30min drive. Average weekly rent for a room: NZ$205. For the rest of Auckland’s suburbs and districts, such as North Shore, Manukau, Waitakere, Beachlands and Hibiscus Coast, check out the Accommodation Guide to Greater Auckland. There are 20+ hostels dotted around Auckland City Central, from your convenient hostels in the CBD, to your more spacious accommodation in the city suburbs. Expect tower-block style hostels in the CBD, turning to more varied building styles as you head into the suburbs. 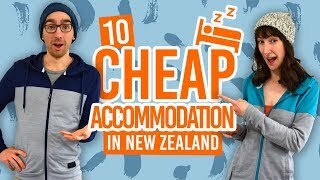 Hostel prices in Auckland usually start from NZ$23-30 per bed per night. However, prices can surge during times of big events. 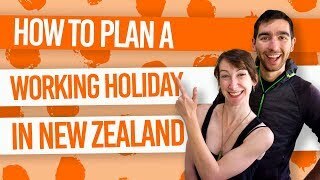 We always recommend to book your bed a couple of weeks in advance in Auckland, especially in summer and especially for our recommended hostels in Auckland. You can always keep the cost of living down along with an extended stay by working for accommodation in an Auckland hostel. For tips, have a look at How to Find Work for Accommodation in New Zealand. For a complete list of hostels in Auckland Central, check out Auckland Central – Guide for Backpackers, and for Auckland Suburbs, check out Auckland Suburbs – Guide for Backpackers. Renting a room is common practice in Auckland to keep the price to minimum when staying in Auckland long-term, usually done if you have landed a job in Auckland as part of a working holiday. Saying that, it is no secret that Auckland has some of the highest rent prices in the country and is the most competitive. Expect a room to rent in Auckland Central and the inner suburbs to be around NZ$205-250 per week. That’s a room to yourself in a flatshare or houseshare. You may find cheaper, around the NZ$160 per week mark, for a shared room. For advice on how to find a room to rent in Auckland, have a look at our 6 Resources to Find a Room to Rent in New Zealand. Renting a room involves a more complicated process than staying in short-term accommodation, so get clued up by reading The Paperwork Process of Renting or Flatting in New Zealand. Stay with a local Aucklander (or JAFA, as they are known) in Auckland’s city centre and inner suburbs. AirBnB, the online network of people’s “spare rooms” available for accommodation, is huge in Auckland. Although the average price for a room in Auckland Central is NZ$140 per night, you can find an array of NZ$35-40 rooms in the inner city suburbs. We’ll help you toward your first Airbnb stay with this FREE NZ$50 credit. Consider an AirBnB room for more convenient inner suburb locations and something different from the hostel experience. Love the great outdoors or just can’t leave your campervan? Well, Auckland Central is going to be a tough one for you. Having a self-contained vehicle widens your options to four or five inner suburb campgrounds and holiday parks. Freedom camping is not allowed anywhere in Auckland Central. For a full list on where you can camp in Auckland Central, take a look at For a full list of these campsites and holiday parks, check out Where to Camp in Auckland and 5 Free Camping Spots in Auckland.. The Auckland region itself is home to tens of campgrounds and holiday parks, which means that if you are determined to stay in your campervan, car or tent overnight, then you better be prepared to travel into the CBD. For information about camping, check out Camping in New Zealand. Check out these articles for more information on things to do and public transport in Auckland City Central.